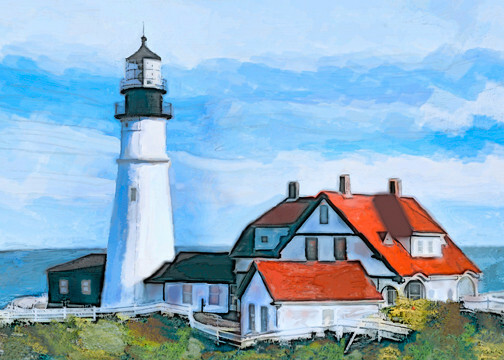 Digital paintings from photos using Photoshop or Painter. Portland Head Lighthouse, Portland Maine. Painted using Painter's watercolor brushes.